Why Iâ€™m not sold on Twitter for communicating about science… – microBEnet: the microbiology of the Built Environment network. I recently started thinking about becoming more active on Twitter, but I’m not sold on it. I’m purposely bringing this up in this forum because I know there are lot of microbe.net readers who are also active Twitter users, so I’m hoping to spark a discussion. Here’s why I’m interested in Twitter, and why I’m concerned about using Twitter (or a tool like it) for communication about science. There’s no question: if you want to reach a lot of people with an idea (granted a biased sample of the population that you’re probably aiming to reach) Twitter is great. For example, when @phylogenomics tweeted about my new online bioinformatics textbook, traffic on the book’s website (and my inbox) spiked. That’s awesome. The problem though is that it’s really easy for someone to detract from an idea on Twitter, and subsequently much harder to defend that idea in 140 characters (as in general it’s harder to defend an idea than it is to detract from one). If I tweet about an idea and someone questions a core component of it, I can try to tweet an accurate and comprehensive reply. But what are Twitter followers going to remember: the detraction, or the likely insufficient reply (ideally, of course they’d go to the source and form their own opinions)? My concern, and the reason why I’m not sold on Twitter, is that I think most readers will only remember the detraction because, by virtue of being easier to compose, a 140 character detraction of an idea will often sound more convincing than the 140 character reply. As scientists, I think we should use Twitter (or tools like it) not to have scientific discussions, but instead to initiate and make people aware of scientific discussions. I’m really excited about some new features that are popping up on journal websites, such as PeerJ and eLife, including threaded reddit-style discussions about papers and open reviews. And it’s no secret that I love GitHub, and the GitHub issue trackers are a great place to have discussions about software (as are user/developer mailing lists, Google Groups, etc). So, maybe if someone has a question about an idea I’ve presented in a paper that I tweet about, or a decision I made in a software package, the way to go is tweet with a link to that question as a PeerJ comment or GitHub issue (for example). That way we can reach potential participants via Twitter, but can discuss the idea in more than 140 characters. So in summary, I’m not completely sold on using microblogging for science, but I think it may be a useful part of the tool kit. Is using Twitter to share science but not discuss science what people are already doing (admittedly I’m a little late to the Twitter party)? Am I just overthinking tweets which are supposed to fly by in an instant (again, I’ll admit that I’ve spent over 10 minutes composing tweets, including getting input from my employees)? Being able to instantly reach thousands of people with an idea, or to plug a new paper or software project, is extremely powerful. However, I also think it’s dangerous scary to put your ideas in a forum where they’re subject to public criticism that you can’t adequately respond to. Where’s the balance? Thanks to Jai Rideout (@squirrelista), John Chase (@ChaseJc33) and Audrey Owens for input on this post (but I note that the opinions presented here don’t necessarily reflect theirs). I also found Bik and Goldstein 2013 to be useful reading while composing this post. And, for the sake of irony, you can find me on Twitter at @gregcaporaso. Greg Caporaso is a professor of bioinformatics at Northern Arizona University. I personally think you are overthinking here. Twitter, like any other social media platform, is a tool. It can be used well or can be used poorly (well, it is a gradient from great to bad and everything in between). Sure, the characrter limit makes some conversations on Twitter awkward. But I don’t find that to be an issue most of the time. If I want to say something that requires more nuance or longer text, I post to my blog or other blogs or such. But as you point out, one of the key uses of Twitter is sharing and information gathering, rather than discussion per se. It is a wonderful way to find out about news, new articles, people’s thoughts, etc. And sure there are risks and challenges. And yes, sometimes there are trolls out there making negative comments all the time. But I don’t think there is much truth to your comment “I also think itâ€™s dangerous to put your ideas in a forum where theyâ€™re subject to public criticism that you canâ€™t adequately respond to.” I think you can adequately respond on Twitter or elsewhere and I have seen few if any cases where one could not. Thanks for the reply Jonathan. Now that you mention it, in my last sentence, I actually think dangerous was a poor word choice on my part. scary is more what I was intending. Ahh – yes, it is scary. But so is (1) giving a talk at a meeting (2) submitting a grant proposal (3) blogging (4) submitting a paper, etc etc. In these cases, and in many others involving scientific communications, negative comments seem to have more impact than positive ones. Think about a meeting. You give a talk. Someone gets up and makes a comment about how you screwed something up. And you make some response but afterwards realize it was insufficient. How do you communicate with all the people who heard the talk and the question later? Oh – and I note – some of the concerns you raise are why we have this blog and also why we have tried to utilize other means of communicating, like organizing meetings, and sending out newsletters, and using other social media. 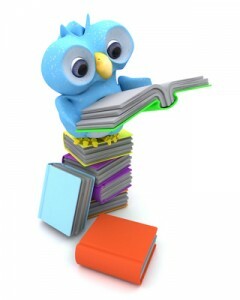 Twitter is just one of many possible tools to use. And just as I support studying microbes in the built environment in many ways (e.g, DNA is NOT everything and not everyone needs to look at DNA) I support the ideas that you raise here. Twitter is not for everyone. But I personally find it to be incredibly powerful as a tool for communicating about science. It’s entirely possible to use twitter in a very passive way i.e. just to consume information, and that’s perfectly fine. I’m sure that many people use twitter to find out about science news in their field including, but not limited to:Â publications, live conference tweets, grant opportunities, upcoming talks, and job offers. There are many different ways you can be an *active* user. Sometimes you may be the person that is live tweeting a conference or sharing a link to a new publication, website resource, or anything that you find useful. But once you start using twitter a lot (and build up a small following) then that’s where it can become very powerful. It’s amazing when you can ask your twitter followers a question and get a response back (e.g. ask for PDF of a paper, find out who else is going to a conference, work out how to solve problem ‘X’ etc.). I’m somewhat ambivalent about using twitter for conversations. Partly because of the limited space, but also because it creates noise for anyone who follows all of the people having a conversation. There’s also a tendency for more and more people to get sucked into the conversation, leaving even less room for actual content. I can’t imagine not using twitter anymore for both science discovery and also science ‘broadcasting. Twitter is working on a method that would allow one to have many Twitter IDs in a conversation without it “costing” you any of your characters. Using the inline images on Twitter is another fantastic way to pique someone’s interest. Granted, having an image + link will shorten the tweet to about 95 characters, but if the tweet is all the more enticing due to images, the shorter length is a worthwhile trade off. I think there are also different types of scientific conversations. Twitter might not be the ideal format to establish a multi-lab collaboration on a cutting-edge and complex topic. However, it can be extremely powerful for conversations along the lines of “hey I heard about this idea, what do people think?”. This sort of sounding-board conversation can be so useful because instead of just talking to the people in your immediate surroundings you are casting a much wider net. Reaching outside the echo chamber if you will. I often find Twitter conversations at this level to be very informative, and often peppered with links to sources that I wasn’t previously aware of. I think Twitter is (sometimes) great for striking up quick conversations with people you might otherwise never have had those conversations with. Granted, tweets are a very short format that sometimes annoys me a lot, but I find that it can also add to the conversation by forcing you to be very concise and clear to get your point across. Twitter is only one facet of our communication toolbox, but I find that it is a facet not easily replaced by the other media we have available. Very interesting post. I also think about the self-selecting group of scientists that choose to participate in Twitter, at least at this point of time. That’s just one of the reasons its not a replacement for other ways of communicating and discussing issues in scientific research. But, as others have said, it’s one tool – and I would predict that this is a tool that isn’t going anywhere. This is a topic of real interest to me. I’ve posted a couple of things about it you may find of interest. I’m not sharing these to self-promote, but because they directly address some of the points you make in your post. Thanks for the shout out Greg, glad you found our PLoS paper helpful! I think it’s extremely valuable to have this discussion, since not everyone who uses Twitter ends up becoming a social media evangelist. And I think EVERYONE is scared of social media at first, until you get a good feel of the atmosphere and what is appropriate and not. Typically I think people on Twitter are pretty good at judging when the conversation needs to get diverted into a longer-form medium. What you tend to see is a Twitter debate followed by a slew of reflective blog posts that expand on the issues and discussion; the conversation then continues in blog comments (as it’s done in this post) and then goes back to Twitter as people link to these blog posts and user comments. From a personal perspective, I think in the genomics field social media is so invaluable because most of the “working knowledge” is unpublished (or on places like Github). Blogs curated by people like Nick Loman have been invaluable for getting cutting-edge insight on Illumina lab protocols and bioinformatic workflows. Usually I find out about new blog posts on Twitter, since I don’t have time to visit different websites individually. So social media has become this personalized information stream that makes me a more efficient scientist. And I STRONGLY believe that social media and online tools are a great boost for us early career scientists in the age of Google. It makes you more visible, disseminates your research, and connects you with diverse researchers who have relevant expertise. All these long-term benefits outweigh the initial scariness, in my opinion. Thanks to Greg for starting the conversation. I share many of your concerns. I have a couple of comments in response to the thread of comments you inspired. 1. I find the mix of personal life and professional/science tweets on Twitter makes it more burdensome and less productive than I had hoped it would be. 2. Conflating the terms/constructs “social media” and “Twitter” clouds the dialogue that has ensued following Greg’s post. Twitter is one very specific form of social media. Not all forms are created equal or function similarly. 3. I follow many contributors to the study of the indoor microbiome, but I usually find it cumbersome to go through all the tweets of those I follow to find the ones that interest me. Is there a way to parse or otherwise make it a more “useful” and “efficient” tool? 4. I am also getting a lot of what seem like spam tweets — advertising or promotion of products or services that I did not sign up to “follow.” Is there any way to eliminate those besides flagging them? 1. Regarding the Spam. Are these labelled in any way as “promoted Tweets” or something like that? 2. Regarding both the Spam and the useful / efficient tool – how do you interact with Twitter? Through a web browser? A phone app? The Twitter app? Not all methods are as easy to use to find the useful messages. Many people really really like Tweetdeck as a way to help organize ones use of Twitter. I would recommend people check out this discussion: How to use social media for science â€” 3 views. It is available here: http://www.elsevier.com/connect/how-to-use-social-media-for-science. I am not a scientist. Rather, I am one of the followers of those tweeting scientists, so I’m going to offer a perspective from my side. I think you basically answered your own questions and quelled your own fears in the second paragraph but just didn’t realize it.